All settings can be enabled/disabled, you use what you need. Restrict payment methods using postcode criteria, like COD for your city, and Online Payment for rest of the country. Restrict shipping methods using postcode criteria, like free shipping for your city, and Flat Rate for rest of the country. Add your own Delivery information message using mass update, import postcodes or specific edits panels. No core files changes, Beautifully written code, adds only a single line of code where a change is required though ocmod. Upload the module using ocmod. Go to Admin >> User groups to enable access for localisation/xpostcode module to admin user groups. In menu Go to Settings >> Localisation >> Xtensions - Best Postcode Manager and update the settings. 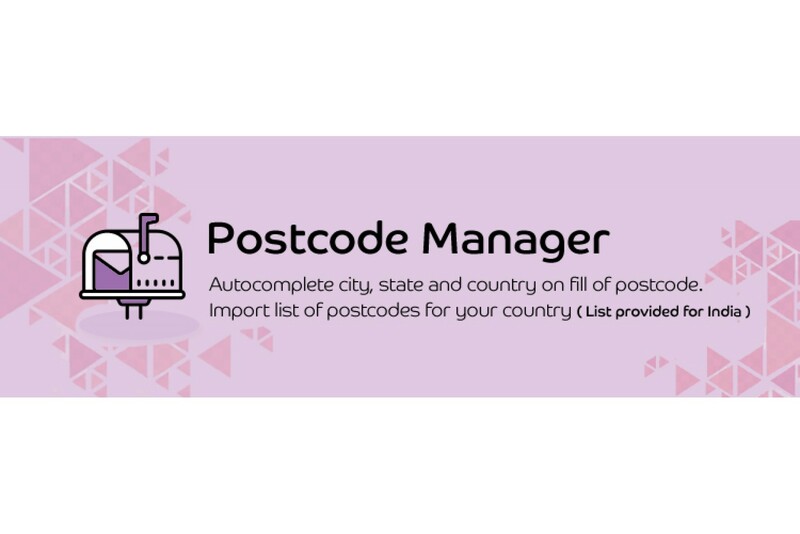 Autocomplete city, state and country on fill of postcode and a lot more.